Next week I 'll be on the road again and heading over to Gothenburg in Sweden to present at the awesome SCOM Day event. 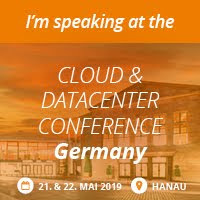 Organised by the team at Approved Consulting, I presented at this event last year and really enjoyed the networking and talking to attendees about all things SCOM. This year, I'll be talking about what's new with SCOM (including some of my favourite community management packs) and I'll also be discussing some new features and changes that are coming to SCOM 2016 over the next few months. I'll be looking forward to a presentation on the day from Microsoft's Kevin Holman (aka SCOM Ninja/Guru/Legend). Kevin is one of the most prolific SCOM bloggers around and there's always something new to learn from his blog posts and presentations.